I'm not sure what has taken me so long to try watermelon lime juice. To be honest with you guys. I made this recipe yesterday on a whim because I really did not feel like bagging anymore watermelon for my meal prep in those little snack bags. I purchased from Costco and I believe that it's the largest watermelon that I purchased to date. If you follow me on social media. You know that watermelon has been my diet bestie lately. Prior to this year. I can't remember the last time I purchased a watermelon if it wasn't for an event. Everything with this recipe I had on hand and the best part about it is that it is diet friendly!! This recipe made under forty ounces which were perfect for me. Seeing how you have to drink the juice when in a couple of days. I did not add any water to this recipe because I didn't want to. If the watermelon is too sweet you could always add a cup of water to your liking. I will say that this recipe is super yummy! I love that it's diet friendly and doesn't call for any sweeteners. Blender under the watermelon turns into juice. This should take under a minute. Enjoy immediately or refrigerate for up to 3 days. 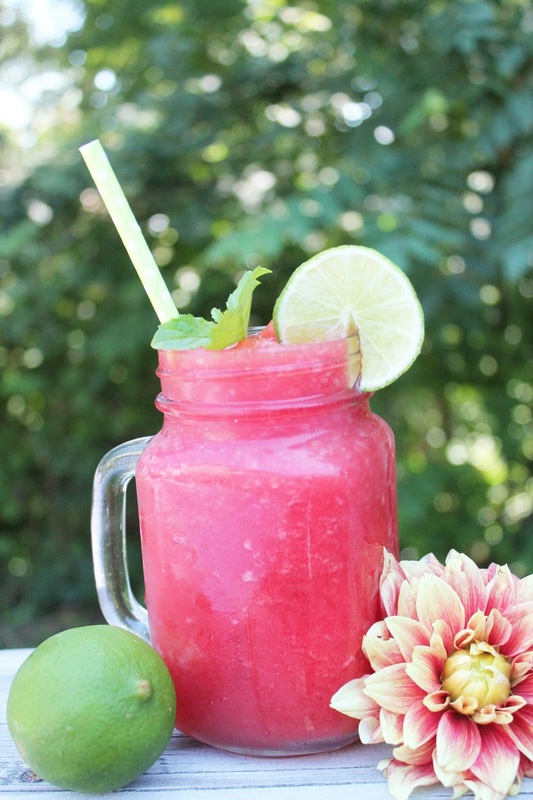 You combined three of my favorite things.. a mason jar, watermelon and citrus. Yummy. Looks so tasty! I'll have to give this a try soon. I love watermelon, but I have never thought of drinking it. It looks and sounds delicious. I have all the ingredients on hand, I'm going to make it today. Thanks. This looks like the perfect mocktail for pregnant ladies!!! Also, I wonder if adding vodka would be good for us ladies who need to relax! Haha! Wow. I have all of these items in hand too! I'll be trying this straight away tomorrow. This is three words that sounds like perfection. 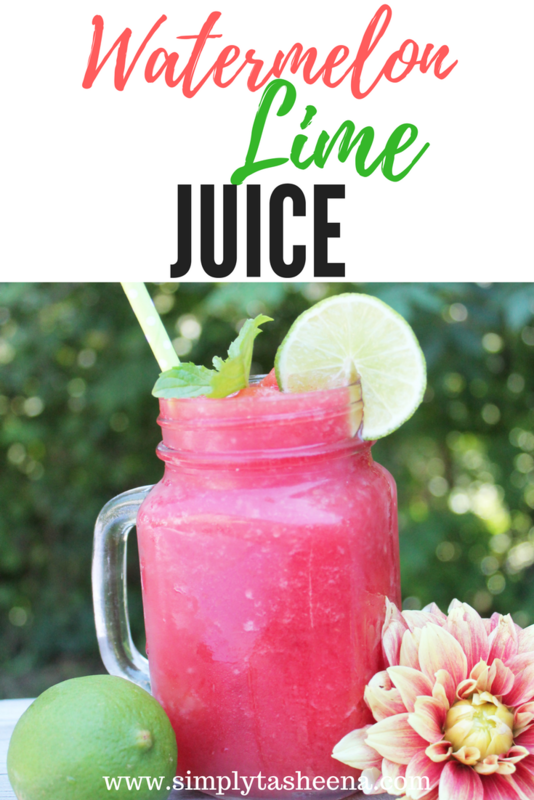 Watermelon and lime does look amazing. And I can imagine how the two would blend well. I will have to check this out. I'm sure it tastes as good as it looks! I live in greece we have so many watermelons during summer thats a great recipe to use them up! Yum! This sounds really good! What a great drink for summer to beat the heat.